The ubiquity of portable music players like the Apple iPod has made headphones quite popular. But the tiny iPod lacks the cojones to adequately drive many of the better headphones, which really need a separate headphone amplifier. Headphone amps range from iPod-sized (designed to be part of a mobile music player) to huge units about the size of a VPI LP vacuum. And the costs of headphone amps range from under $100 to well into five figures. If you want a good headphone amp but don’t want to spend much for it, where do you go? For a lot of folks, the answer is eBay, where you can find a number of Chinese-made headphone amps at low prices. Some of these are terrific bargains, but I suggest caution: The shipping charges may be high, and if it breaks, you’ll probably have to ship it back to China for repairs. 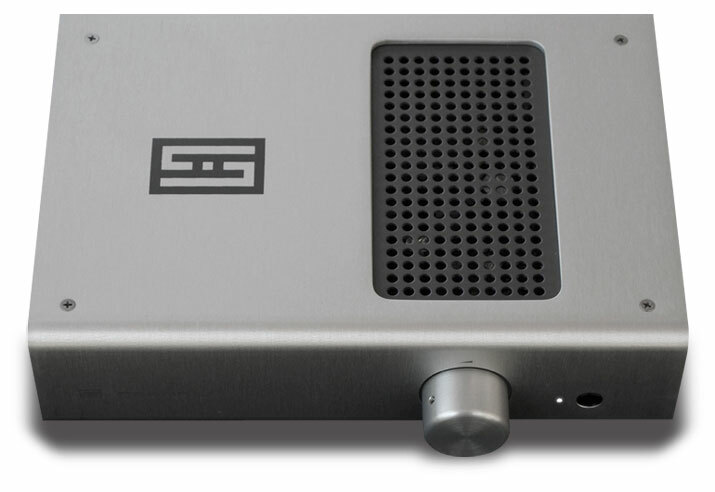 One way to avoid the risk of buying Chinese on eBay is to shop for US-made products -- such as the Asgard from Schiit Audio, which gives the Chinese crowd a run for their money. The Asgard’s price of $249 USD seems too low to qualify it as a high-end audio product, but the amp looks as if it costs far more, and has some very high-end design features. From Schiit’s website, we learn that the "Asgard is a fully discrete, class-A, single-ended FET headphone amplifier with no overall feedback and a non-inverting circuit topology. Its high-current design makes it uniquely suitable for low-impedance headphones." That means that its signal path contains no integrated circuits. I’m somewhat ambivalent about that, because I’ve heard some fabulous headphone amps that do use integrated circuits -- but when it came time for me to buy a headphone amp for my own use, I chose the Stello HP100, which also lacks ICs, and I’ve never regretted it. A class-A circuit can produce very pure, accurate tonality, but it can also run very hot, and the Asgard was no exception to the latter tendency. Schiit’s cute, humorous owner’s manual warns you that the amp runs really warm, though not necessarily hotter than blazes! But it does. About the company’s name: Yes, it’s pronounced just as you might think it would be. Why would company founders Jason Stoddard, formerly of Sumo, and Mike Moffat, formerly of Theta, pick such a name? I think they prized it for its ability to grab your attention; they certainly use it provocatively throughout their website, whose home page proclaims "You aren’t gonna believe this Schiit." 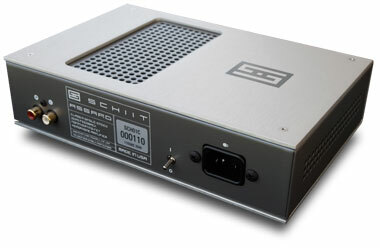 I’ve seen $1000 amplifiers that don’t look as good as the Schiit Asgard. Its chassis is a thick sheet of brushed aluminum bent into an elongated U; a second U-shaped section, this one of black-painted steel, inserts into the rear of the unit, and on top is a perforated section for ventilation. The amp can be placed horizontally or vertically (in the latter orientation, the volume control is on the front panel’s lower half); stick-on feet let you choose. The Asgard’s exterior is very simple: on the front panel are an aluminum volume control, a 0.25" headphone jack, and a white LED that tells you when the amp is turned on. At first, I wondered: Why white instead of the far more common blue? Then I bought a new computer, and noticed that all its indicator lights are white. Maybe white is the new blue. On the rear panel are an IEC jack for the power (hooray, no wall wart -- another high-end feature), a toggle switch to turn the power on and off, and two RCA input jacks. That’s it -- elegant simplicity. Many headphone enthusiasts have simple audio systems consisting of only a source component, an amplifier, and their ’phones. I set up such a system comprising the Asgard, a Sony SCD-XA5400ES SACD/CD player, and Sennheiser HD 650 or AKG K701 headphones. I plugged the Sony and Asgard into a Silver Circle Audio Juice Box, Jr., a two-outlet power filter well suited for providing clean power to a headphone system. I used Blue Marble Audio Blue Lightning power cords from the Juice Box to the Sony player and the Asgard. It may sound goofy to use power cords that cost almost twice as much as the amplifier, but these were the cheapest decent-sounding cords I had. I’ve recently seen comments on websites to the effect that some audiophiles, and even some reviewers, seem to regard burning-in components as a hoax perpetrated by deranged reviewers; some even appear to take suggestions that they need to burn-in new gear as personal insults. I heartily agree that burning-in components is a pain in the posterior, but my ears tell me that burn-in does improve the sound of some equipment -- and let’s not ignore the fact that most manufacturers recommend the practice. Schiit Audio recommends burning in the Asgard for a week for best sound, so I gave it ten days with a TARA Labs burn-in CD. To my ears, it was well worth the effort; before burn-in, the sound was somewhat closed-in at the top; after, it was extended and open in the highs. Now, however, there was a slight emphasis in the highs. Back in the burn-in CD went for another week. Now the high end was smoother, and more open and extended. The Asgard’s high operating temperature warrants another mention. During setup, I picked up the amp to move it a couple of feet, so that the headphone cord would reach my listening chair. It was so hot I almost dropped it. Outside of some tubed units, I’ve never seen any component run this hot. Unfortunately, the metal volume knob, which looks lovely, gets just as hot as the rest of the amp. I’d almost rather see a plastic knob. I experimented with different interconnects, and settled on Crystal Cable’s CrystalConnect Piccolo because its radiant midrange complemented the Asgard. Schiit touts the Asgard as being a particularly good match for Sennheiser headphones, and I hoped that would be true; while I own a pair of their HD 650s, I’ve never been a big admirer of the brand’s sound. Usually, after admiring Sennheiser ’phones’ huge bass, I quickly miss the high-frequency response, which I find rolled off and lacking in detail. But because Schiit recommends them, I used the HD 650s as the primary headphones for this review. While the Schiit Asgard didn’t bless the Sennheiser HD 650s with super-extended highs, it did make listening to them more enjoyable. However, compared to other amplifiers I’ve used, I thought the Asgard rolled off the highs just a smidgen. Given the HD 650s’ tonal balance, the last thing they need is a high-frequency rolloff. However, there’s no problem with HD 650s’ lows. These ’phones are capable of prodigious bass, and the Asgard elicited from them weighty, ultradeep bass extension. Jordi Savall and his ensemble romp lustily through "Folia Rodrigo Martinez," from La Folia 1490-1701 (CD, Alia Vox AFA 9805). One of the instruments played is a large drum with a frequency response that extends down into the mid-20Hz range. The Asgard drove the HD 650s effortlessly to reproduce the deepest response. I could hear how the drum loaded the room when it was enthusiastically whacked, and how its reverberation then decayed to silence. Nor did I have any problem getting as much volume as I wanted. The volume control typically sat at the 12:30 position with most music I listened to. To check out the Asgard’s handling of vocal music, I sampled A Sei Voci’s recording of Gregorio Allegri’s Miserere (CD, Astrée E 8524). The voices were quite smooth, and I could hear individual singers in the chorus. Headphones aren’t great for depicting information about the spatial qualities of a recording venue, but I could tell that the performance had been recorded in a medium-size room that had a bit of reverberation. This piece includes elaborate ornamentation of the basic melodies by the sopranos, who soar high above the other voices. There was a smidgen of HF rolloff that made the bass voices more prominent than the sopranos, however. To evaluate solo voice, I cued up Chris Jones’s "God Moves on the Water," from his Roadhouses and Automobiles (CD, Stockfisch SFR 357.6027.2), and clearly heard his gruff baritone. I also heard a subterranean bass guitar that went deeper than I had heretofore realized, even when listening with subwoofers. My favorite track for evaluating how a component reproduces recordings of large-scale orchestral works is Kabalevsky’s Colas Breugnon overture, with the Minnesota Orchestra conducted by Eiji Oue (CD, Reference RR-92 CD). I can’t say that the combination of Schiit Asgard and Sennheiser HD 650s re-created it perfectly, but they did full justice to the very low bass, and respectably well at reproducing the orchestra’s full percussion ensemble. 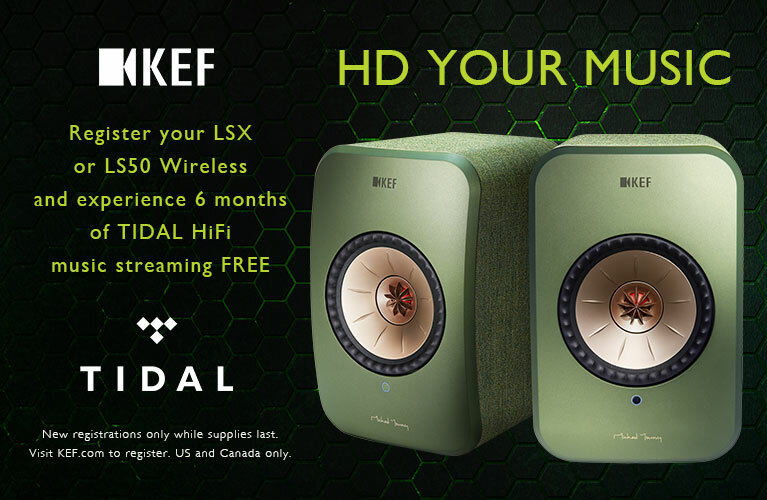 At hi-fi shows, it usually takes speakers costing over $20,000/pair to convincingly reproduce this recording. To check out the Asgard’s transient performance, I cued up "PercusienFa," from Eric Mongrain’s Fates (CD, Prophase Music MVDA4585), a solo guitar piece with scary-fast transients. The Asgard certainly didn’t lack energy; the transients were like physical blows to my eardrums. However, the transients’ leading edges seemed rounded, which in turn made it seem as if the highs were slightly rolled off. With the AKG K701 headphones, while I heard lots of detail and somewhat more elevated HF response, I still wasn’t hearing all the highs -- some of the highest-frequency details were missing. The highs in "PercusienFa" were more evident than through the Sennheisers, making Mongrain’s guitar sound much more realistic. There’s a lot of HF content in guitar music, and the AKG K701s did more justice to it. I was pleased to hear the Asgard producing deep bass with the K701s, whose bass response is, I think, plenty deep. However, if you think the HD 650s’ bass is just right, then I can see how you might think the AKGs are lacking in that department. With the K701s, the bass in the Colas Breugnon overture seemed nearly as deep and strong as through the HD 650s -- but with "Folia Rodrigo Martinez," the Sennheisers produced a notably deeper, fuller low end. Like the Asgard, my Korean-made Stello HP100 headphone amp ($595), which I reviewed in the June 2006 SoundStage!, uses discrete devices in its output stage. It has two inputs and a line-level output, so it can be used as a preamp in a small-scale system. It looks like a miniature preamplifier with a thick front panel, and its fit and finish are impeccable. Like a Ford Model T, the Stello comes in your choice of colors, as long as it’s black. It runs only slightly warm, so it’s probably not heavily biased into class-A. With either pair of headphones, the Stello’s HF response was somewhat more extended than the Asgard’s. That surprised me; the last two headphone amps I reviewed, the HeadRoom Ultra Micro (June 2008) and the Blue Circle Audio SBH (September 2007), had sounded brighter than the Stello, and I’d decided that the Stello had perhaps a slight HF rolloff. In comparison to the Asgard, the Stello didn’t sound peaky, or as if it had a rising high end, but there was considerably more HF energy, with commensurately more detail and tonal accuracy in the sounds of musical instruments. The Stello gave both headphones frequency balances that sounded like those of good speakers. The result was that I actually enjoyed listening to the Sennheiser HD 650s, which I don’t always. The Stello also seemed to have more punch and dynamic range than the Schiit; music through ’phones sounded more exciting, more realistic. But the Asgard had deeper, more powerful bass. I’ve already noted that the electric bass in Chris Jones’s "God Moves on the Water" sounded incredibly deep through the Asgard. When I listened to the same track with the Stello, Jones’s voice was noticeably easier to understand; I actually understood some lyrics that had sounded like mumbles through my speakers. That’s one of the standard strengths of headphones, of course, but it took the Stello amp to make it happen with this track. Just for grins, I then tried the Sony SCD-XA5400ES SACD player’s built-in headphone amplifier. It was fairly decent, but rather anemic in the bass, and I had to crank the volume control all the way up to achieve adequate volume. Overall, music through the Asgard sounded way better -- a good illustration of why you need a separate headphone amp. In keeping with Schiit Audio’s recommendations, I primarily used Sennheiser’s HD 650 headphones to audition the Asgard. What I heard was potent bass, a smooth midrange, and a slightly rolled-off high end -- but I think that much of that rolloff can be attributed to the Sennheisers. With the flatter AKG K701 headphones, the rolloff was still present but less extreme. So just as you’d take care in matching an amplifier to the speakers you use, you need to do the same in picking the headphones you’ll use with the Asgard. I wish I could have tried the Asgard with the rather bright-sounding Beyerdynamic DT 880 headphones I reviewed in November 2006, but they’re long gone. 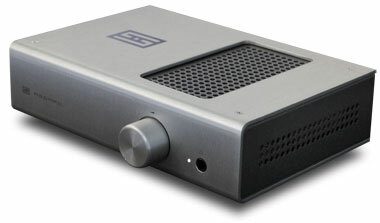 I’m impressed that Schiit Audio can produce a headphone amplifier for $249 that sounds and looks as if it costs $1000. And you don’t have to order it from some unknown Chinese company on eBay and pray you’ll actually see something for your money. If you need a good headphone amplifier at a price that seems silly cheap, I suggest you rush your order directly to Schiit via their website, before they come to their senses and raise the price. Power conditioner -- Silver Circle Audio Juice Box, Jr.
Warranty: Five years parts and labor; 15-day money-back guarantee.